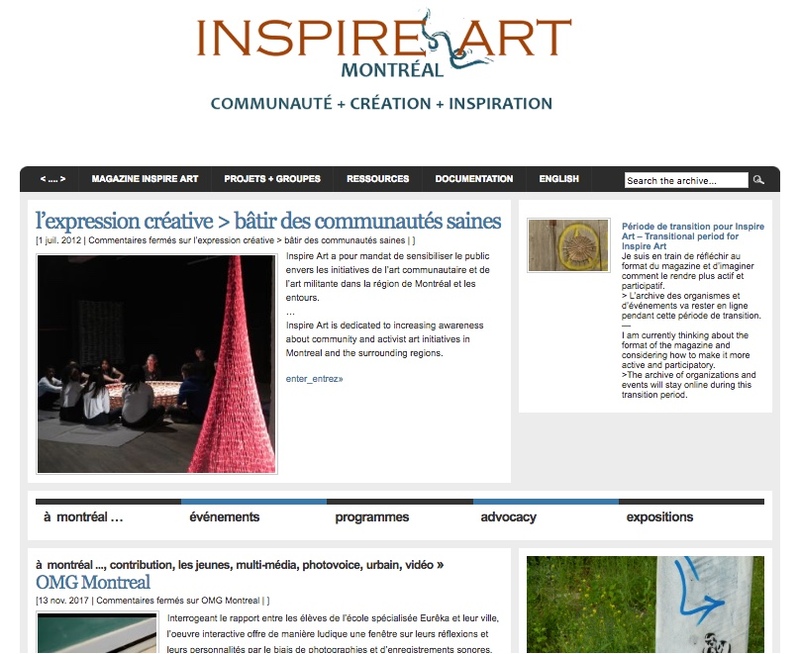 Inspire Art (2009-2019) is a webzine dedicated to increasing awareness about community and activist art initiatives in Montreal, as well as the surrounding region. How are we using creative expression to build healthy communities, share our stories, and manifest our visions for social and environmental justice? To encourage artistic collaboration as a tool for facilitating communication and actualizing social and environmental justice. To serve as a promotional space and public archive of events, programs and other community art news. To facilitate dialogue about community art practices and highlight the relationships between the local and the transnational community art movements.